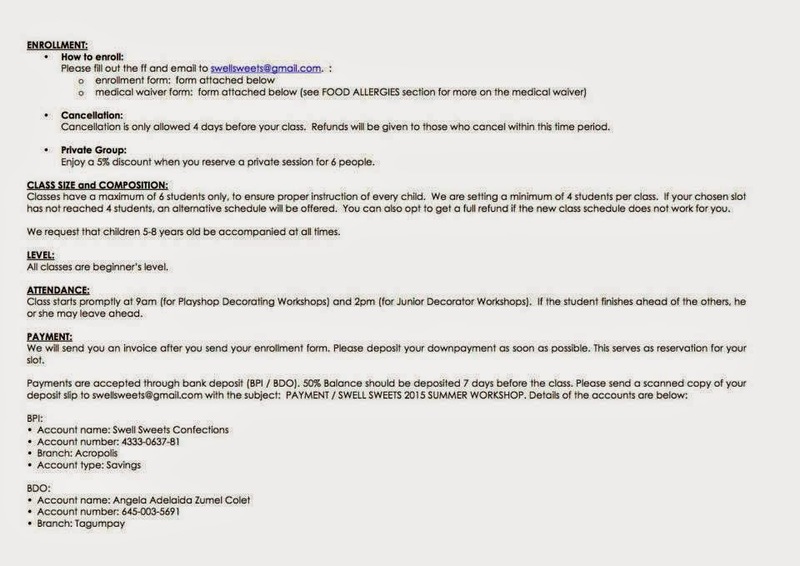 Summer is a more busy time for the kids no? Summer activities left and right but it's the only time they can do and explore as many activities and sports as they can! 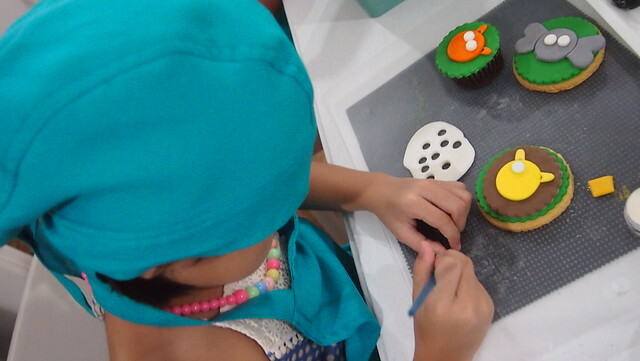 And one of those activities I was looking into enrolling Y in a baking or cupcake decorating class and Swell Sweets offered a free session for Y and I was glad they did! 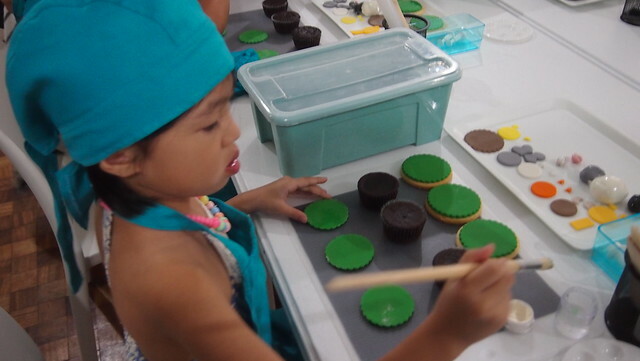 Swell Sweets holds its classes at their studio in Metropole Townhomes, Marikina (boundary QC, just pass Blue Ridge, Katipunan. 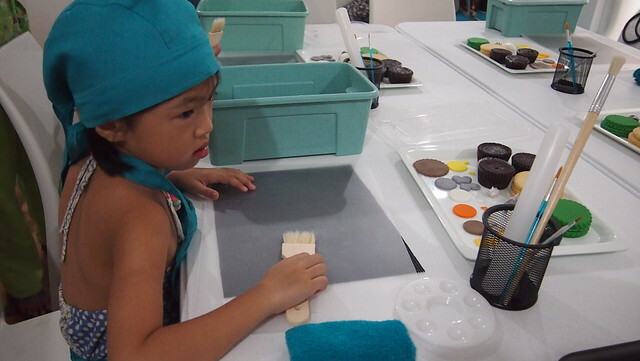 There's two kinds of classes, Playshop Decorator (AM class) for kids age 5-8 and Junior Decorator (PM class) for kids age 9-15 and each day, each class has different themes! 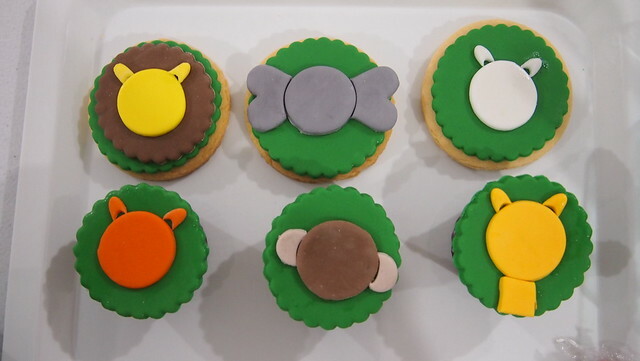 For our Playshop Session, our theme was Jungle Safari Animals! 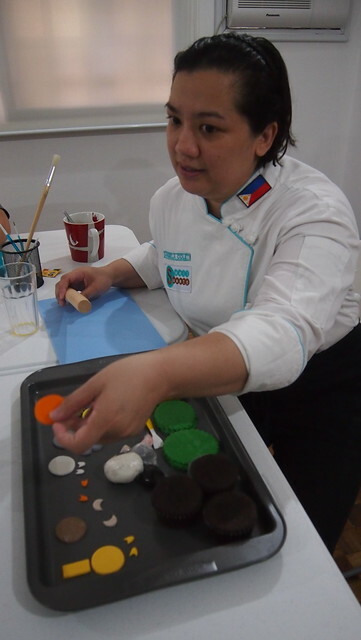 There's Tita Gel, head baker/chef of Swell Sweets. 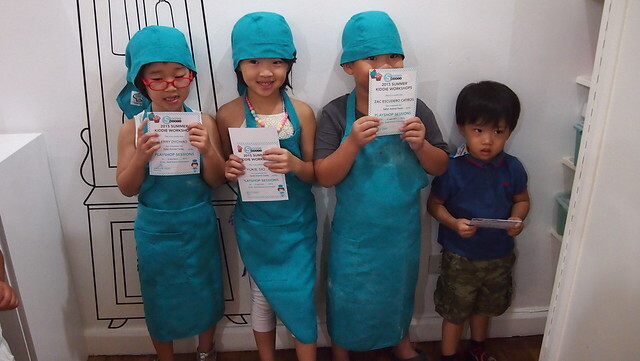 She can accommodate up to 6 kids per class to ensure proper instruction to each kid. 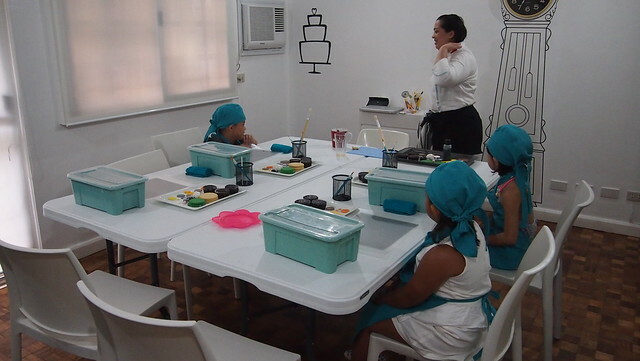 Each kid has their own set of tools, apron and hat (which you can purchase with the class) and a tray of pre-baked cookies and cupcakes and pre-cut toppers. 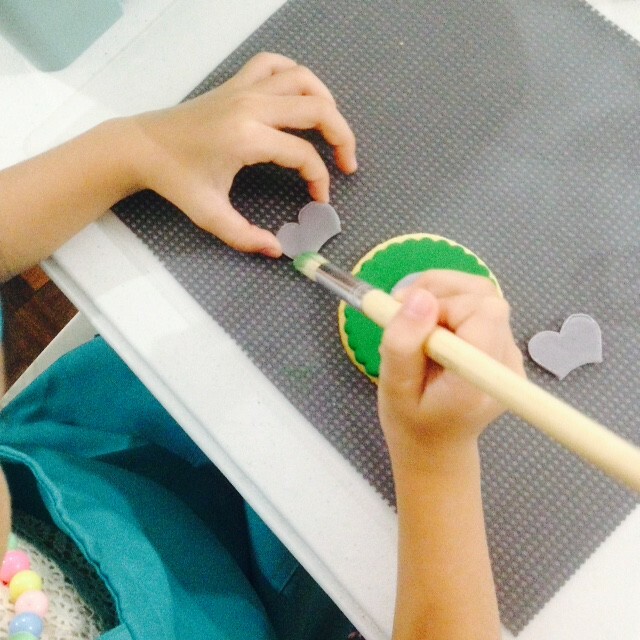 And before they start decorating their cookies and cupcakes, Tita Gel explained first what each tool is for. Y listening intently to Tita Gel. She follows instructions well talaga. 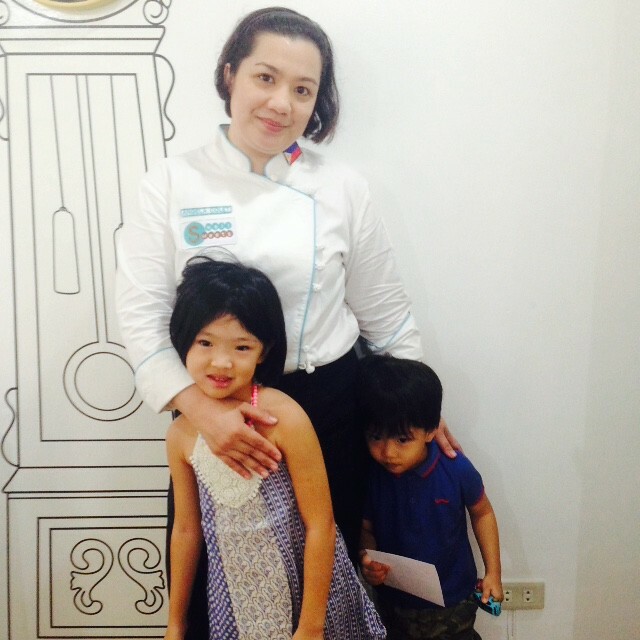 She didn't want help from me (stage mom lang!) or from Tita Gel unless she asked for help na. 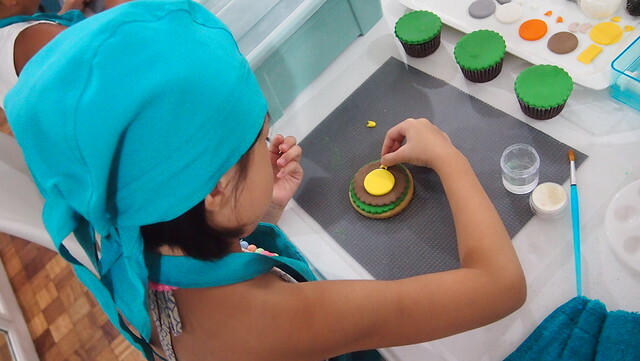 First step is putting "glue" to the toppers for it to stick to the cookies and cupcakes. Can you guess what animals are they? Y decorated these herself with minimal help from me. After doing the faces, we had a 15 minute break. They have a snack bar which the little boys raided. Haha! Caught in the act! Haha! 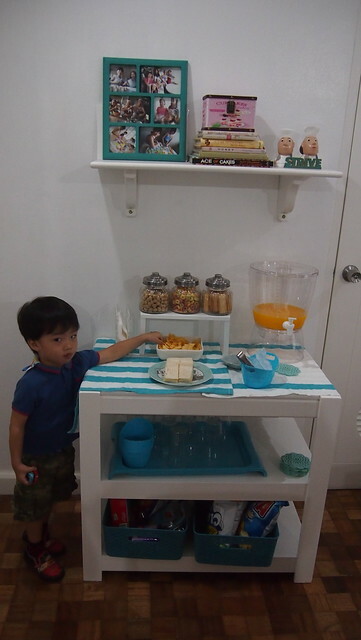 I like this snack bar, I want one at home! 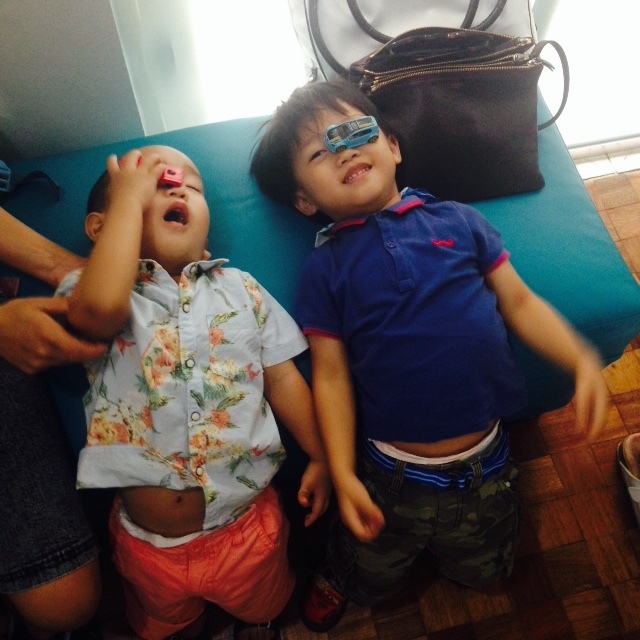 Kulit boys who were not part of the workshop but finished all the snacks. Haha! Then it's time to make the eyes. Tita Gel gave Y a little help. 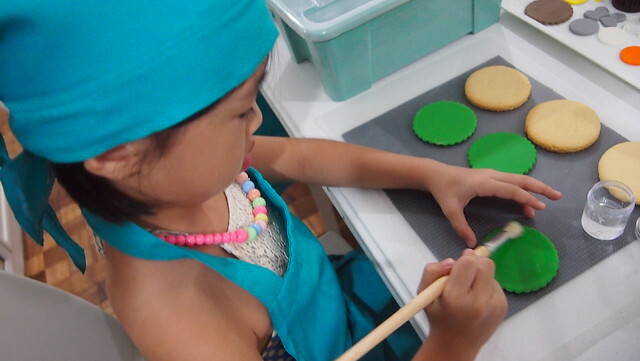 Y has been asking me to buy her a rolling pin for her clay. I remembered after seeing this photo! Hehe! 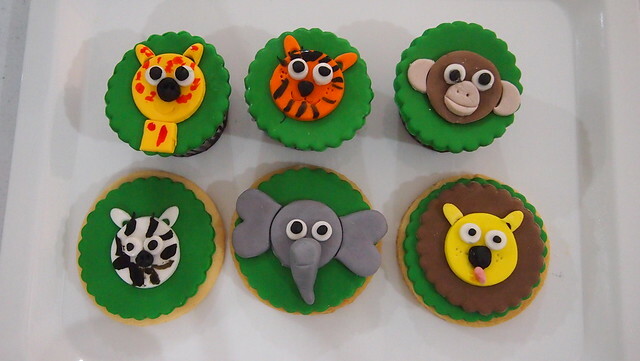 Then stick the eyes to the animals! 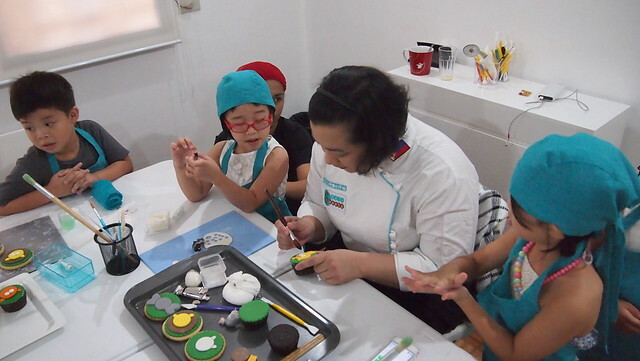 Then Tita Gel taught the kids how to make the eyeballs. Berry and Y perfectly molded their eyeballs! 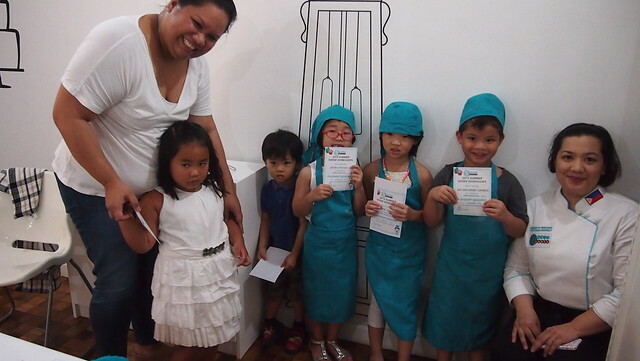 Tita Gel wanted to hire them na! Heehee! Then R decided he wanted to join the class. 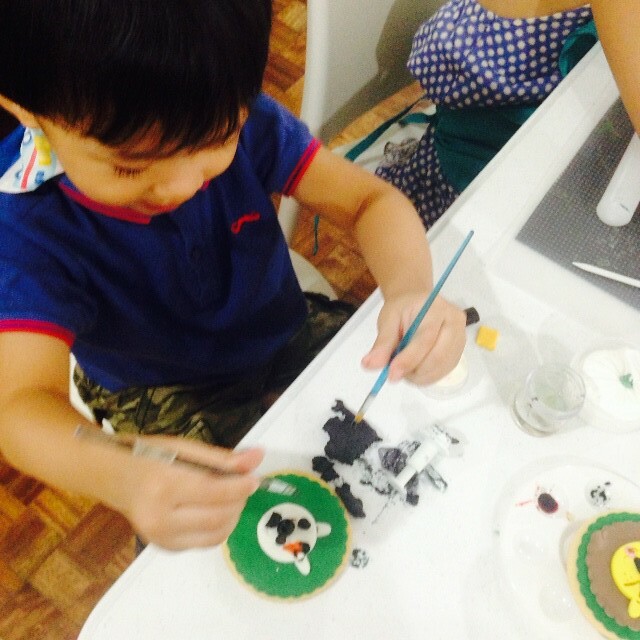 Tita Gel was so nice to let him join, I was worried he was going to make a mess and be the makulit one disturbing the whole but he had playmate, Xavi! Heehee! 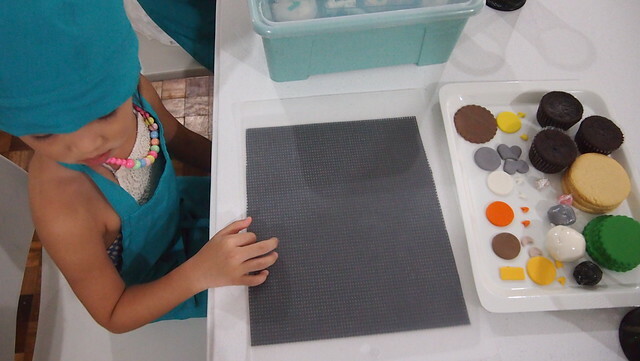 After 2 hours, this was Y's final products! So cute no? Proudly showing off her work. So proud of you, Y! 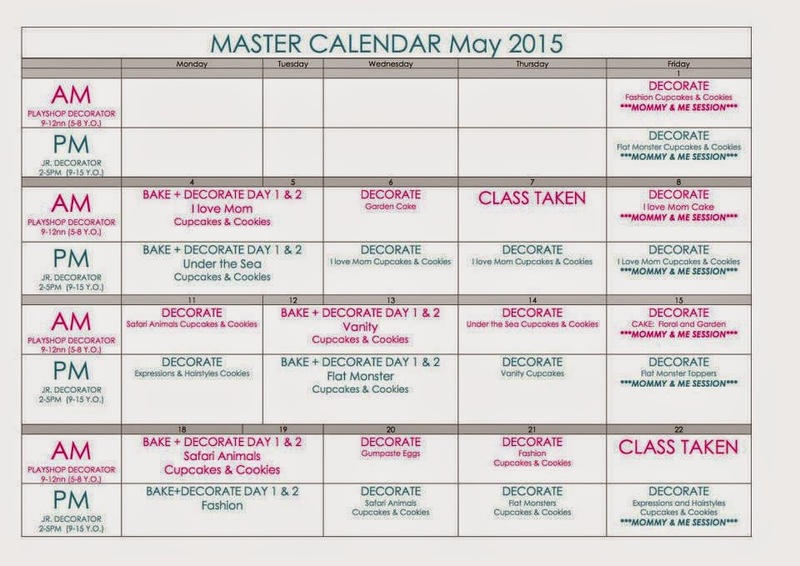 She now wants us to bake at home and decorate our own cupcakes. Eeep! This momma needs to learn how to bake first! Congratulations kids! R wanted to be part of the photo. Haha! He grabbed Y's certificate buti na lang Tita Gel has an extra one which what Y is holding. Now with Tita Gel naman! Thank you Tita Gel for having us! It was nice to finally meet you! 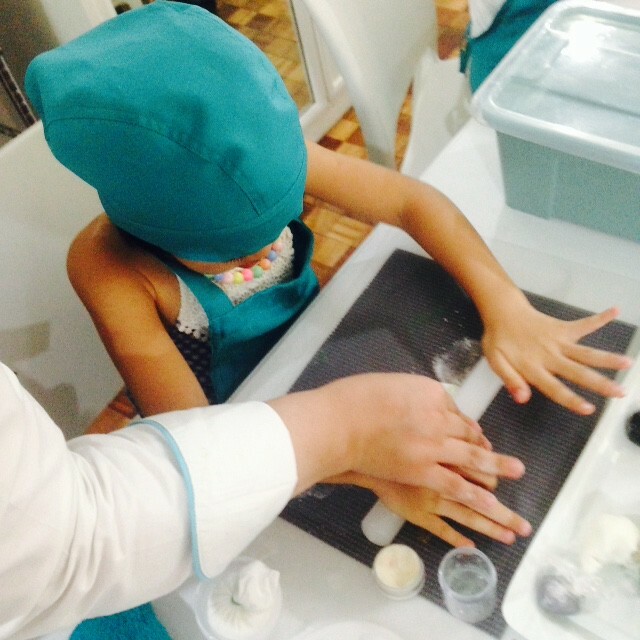 Y had a great time, she loved it and can't stop talking about it and telling her papa about it. 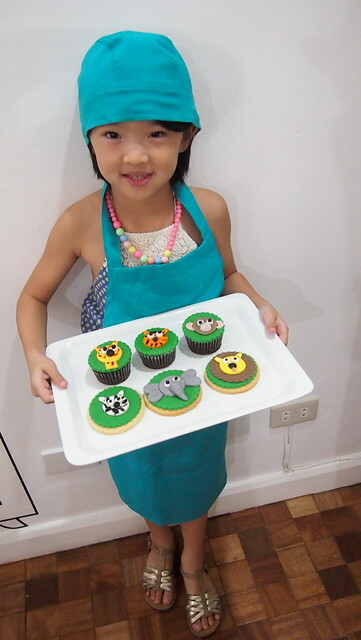 Her papa wants to buy an oven and a mixer na! Talaga lang ha. 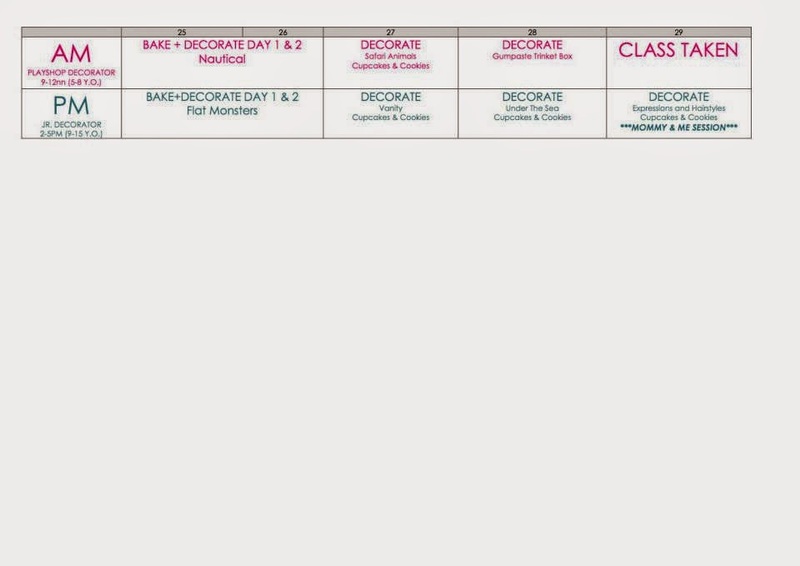 Can Y take classes first? Heehee! I'm thinking which class I want to enroll Y next. 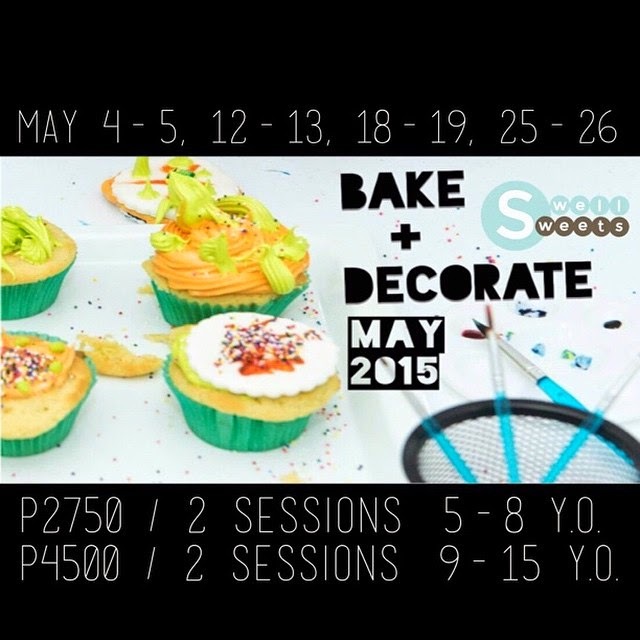 Swell Sweets will have its workshop from April to May. 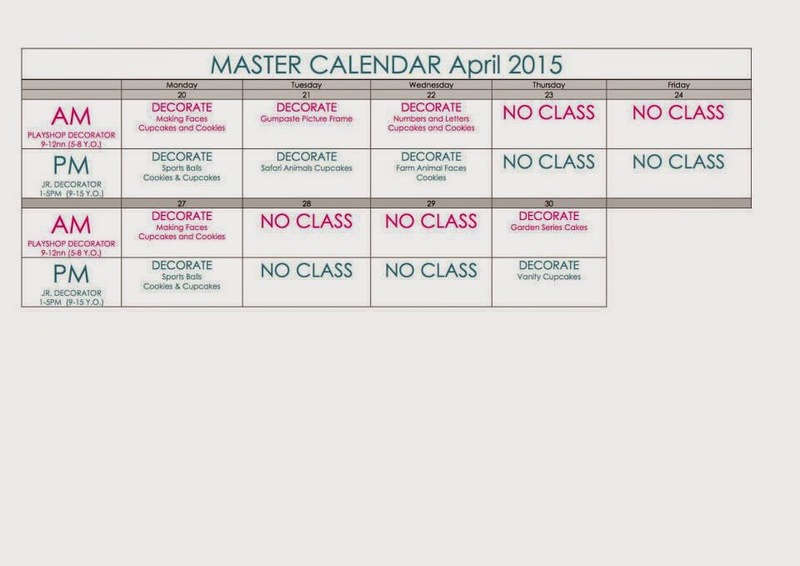 Check out their schedule below! 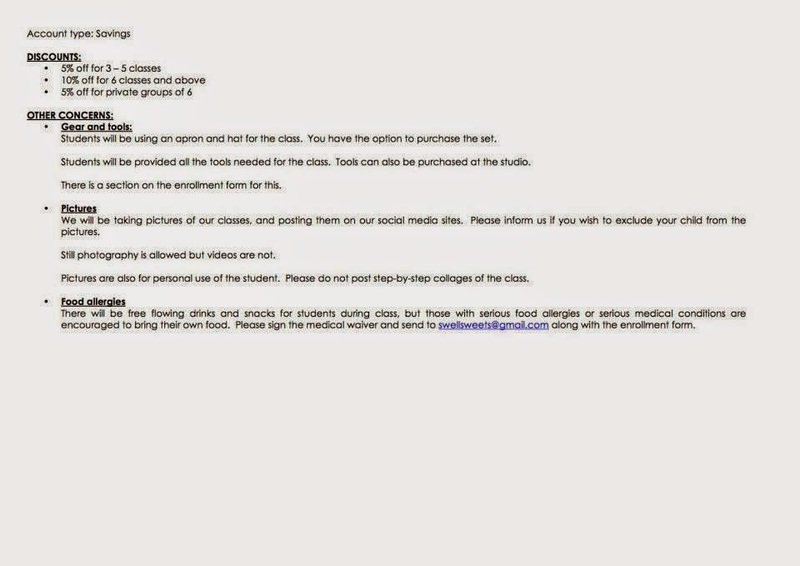 And here's how to enroll.